The pastoral image of a shepherd is a frequent metaphor in Scripture. Herders of animals were common in Palestine, especially in the Old Testament times. Think about it, Abraham, Isaac, Jacob, Moses, and David were all shepherds. In time, a shepherd became a figurative term for a ruler of God’s people. The king was to be a shepherd. God shepherded his people, most notably during the Exodus as they followed him through the wilderness. We don’t see many sheep or shepherds around here. When I was a pastor in Cedar City, Utah, they were visible. You’d especially see them in the spring and fall when they drove the sheep up in the mountains or back down, often clogging roads and creating traffic issues. With several sheepherders in the congregation, I had be careful preaching on these passages as they knew more than I did. You know, the shepherds coming to the manager is a highlight of a Christmas programs and we become sentimental thinking about it. But we should realize that shepherds had a tough job and were not high in the social hierarchy. The idea that a shepherd like David could become king or that a group of shepherds could witness the incarnation of God into humanity was far-fetched. But our God has a way to take what is rejected build upon it. And Jesus promises that the last shall be first and the slave the greatest of all. 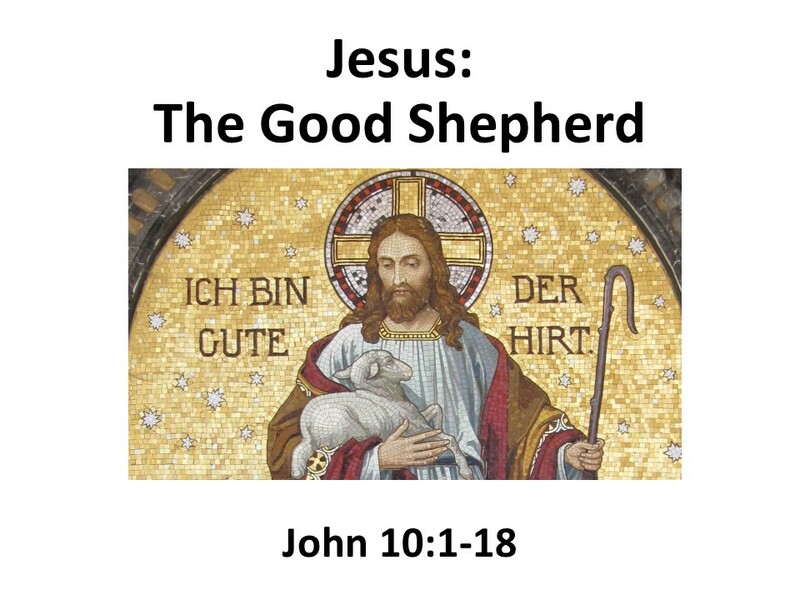 It doesn’t bother God, who becomes a man in Jesus Christ, to align himself with a shepherd, an image that we see over and over again in Scripture and especially in the tenth chapter of John’s gospel. READ JOHN 10:1-6, 11-15. I know many of you have travelled to Holy Lands, seeing it as a pilgrimage. Some find their faith strengthen by trotting over the same ground upon which Jesus’ walked. If you go, it’s good to have a guide who can bring the Bible alive and make you envision what it was like in Jesus’ day. One such group, who had a fantastic guide, started their journey in Jerusalem. After seeing all the sites, they had dinner, after which the guide took time to prepare everyone for what they’d witness the next day as they left the city and travelled in the Judean hillside. 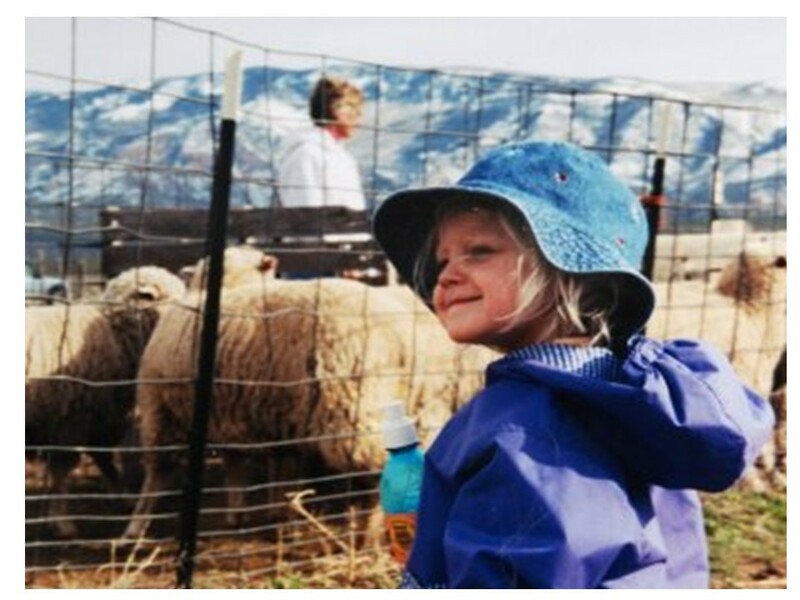 Herding sheep is still an occupation in these areas. He waxed eloquently about the shepherds of Palestine and how they are so good that when they take the sheep into the hills to graze, they just walked along and the sheep follow close behind. The prophets spoke of evil shepherds (those who drove the sheep to the butcher) and the prophet Ezekiel promised that there would be a day when God would become a shepherd and lead the entire world to good pastures. This set the stage for Jesus who came proclaiming himself as the “good shepherd.” Jesus provides two reasons. First, he is the good shepherd because he will lay down his life for his sheep. Secondly, he’s the good shepherd because he knows his sheep and his sheep know him. The shepherd’s fate, if he owns the herd, is tied to the sheep. Therefore, he has a vested interest in their welfare. As the owner, he makes sure his animals are well fed, watered, and protected. If the bad wolf is too big or a lion too aggressive, a hired-hand will take off. There is no incentive for him to risk his neck. The good shepherd, however, is loyal to his flock. The hired-hand looks out for his own interest. Jesus, as the good shepherd, is loyal to us and promises never to desert us, a promised sealed on the cross. As Jesus said to the disciples, who were afraid of being left behind, “wherever two or three are gathered in my name, I’ll be there.” We can take comfort in Jesus’ presence during times of trouble. The second reason Jesus said that he’s the good shepherd is because he knows his sheep and his sheep know him. Jesus links this knowledge between him and his sheep with the knowledge between him and his Father in heaven. This intimate knowledge between Jesus and his followers is for a reason. Jesus desires to bring all of his sheep, all of his followers, together into one flock. By being gathered in Jesus’ flock, we too have connection to God, the Father. After all, as Jesus says a few chapters later in John’s gospel, he is the way to the Father. There’s rich imagery in this passage. To be a good shepherd, one needs patience, and must commit the time necessary to take care of the sheep. The image of a good shepherd shows the gentleness and patience of God. But a good sheepherder is not meek. When wild animals attack, the shepherd becomes enraged as he fights to protect his sheep… The two sheepherders in the church in Utah, when they were up on the mountain or out on the winter ranger, kept a loaded Winchester 30-30 in their trucks in case something threatened the herd. They protected the sheep. The image of a good shepherd also shows us the wrathful side of God, the God who gets angry at those who endanger his children. Jesus reminds us of the wrathful side of the Shepherd God when he speaks harshly to those who misled and misguide children (and in these places he’s talking not only about those whose years are few, but also those who are young and vulnerable within the faith journey). The Shepherd is concerned for our being and cursed are those who try to steer us away from the truth. The 23rd Psalm, where God is related to as a shepherd, is perhaps the most beloved of all the Psalms. I think this is because we like knowing there is someone looking out for us, taking care of us when our lives travel through dark valleys. Sooner or later in our lives, we will all experience times when we are unsure of the future and feel threatened. Danger may seem to be lurking all around, but if we can recall that God is the good shepherd who leads us through the valley of the shadow of death, we can be consoled and have the hope that ultimately can only be found in God’s hands. I would like to discuss for a minute the notion of the pastor of a church being a shepherd. Some churches take this seriously and give shepherd crooks to pastors and/or bishops. With Jesus being the good shepherd, I find myself a little nervous about being seen as a shepherd and certainly feel inadequate. 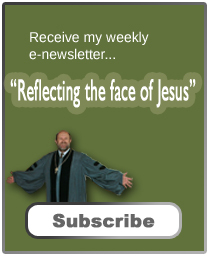 Let’s face it, it’s hard to live up to Jesus as our role model. Yet, we’re all called to strive to be more godly in our lives, even as we know the only way we will truly be sanctified is through grace. But until our sanctification in the next world, we do our best and depend on God. Let me expand this a little further. Within the Reformed Tradition, the role of the shepherd doesn’t rest just with the pastor, but with all elders. So I’m not on the hook just by myself. And, just so the rest of you don’t feel left out, there is the other concept of the priesthood of all believers. Look around, we’re all priests. And part of our priestly role is to look out for one another. Yes, we have a Good Shepherd. His name is Jesus. We follow him. But think about this: Jesus wants us to be his assistant shepherds. We all now have a part to play in the incarnational ministry into which we’re called, the ministry of furthering God’s work on earth. This includes looking out and praying for one another. It’s part of what it means to be a Christian. It’s an assignment we’ll accept if we truly love Jesus. Amen. See Matthew 21:14, Mark 10:12, Luke 20:17 and Acts 4:11. See Matthew 19:30, 20:16, 20:26, 23:11; Mark 9:25, 10:31, 10:43; Luke 13:30, 22:26. Ideas from Raymond E. Brown, The Anchor Bible: Gospel According to John I-XII, p. 397. Passages from the prophets include Jeremiah 10:21, 23:1-2, and Ezekiel 34. Matthew 18:6, Mark 9:42, and Luke 17:2.